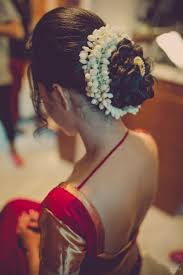 Whenever you wear a backless blouse, a chic messy bun style works perfectly to suit your saree and face. Some women like to curl their hair for the party, so go for a half up style with silk saree that will help you complement your beautiful saree and jewellery. 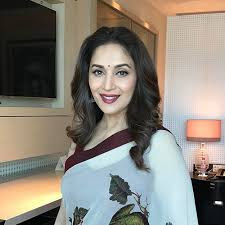 If you are going to wear a simple chiffon saree, just curl 2-inch section of your hair and lightly run the brush to open the curls .really its simple and shower. To show yourself younger with an old designed saree, you just need to divide your hair into two sections and make a bun of all of the upper hair and curl the remaining hair. It really hides your age. A traditional saree calls for a traditional braid. So just braid your ponytail by alternately picking up a thin section of hair. The beautiful garland of jasmines has the ability to transform the simplest of hairdos into something gorgeous.